Glen Ridge NJ 07028 traces its beginning to 1666 when sixty-four Connecticut families led by Robert Treat purchased land from the Lenni Lenape Indians and named it 'New Ark' to reflect their deeply held Christian commitment to worship freely without persecution. 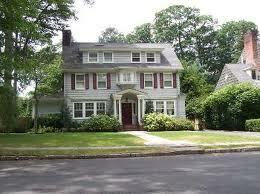 The territory also included the future towns of Bloomfield, Montclair, Belleville, and Nutley. When Bloomfield seceded from Newark in 1812, Glen Ridge was a section "on the hill" composed mostly of farms and woodlands with the exception of a thriving industrial area along the Toney's brook in the Glen. For most of the nineteenth century, three water-powered mills produced lumber, calico, pasteboard boxes and brass fittings. A Cooper, a sandstone quarry and mine were nearby. With the arrival of the Newark and Bloomfield Railroad in 1856 and the New York, Montclair and Greenwood Lake Railroad in 1872, Glen Ridge began its transition to a suburban residential community. Stately homes slowly replaced orchards and wooded fields. Residents "on the hill" became unhappy with their representation on the Bloomfield Council. In spite of repeated requests to Bloomfield officials, roads remained unpaved, water and sewer systems were nonexistent, and schools were miles away. In early 1895, the stage was set for succession. Several men met on the third floor of the Robert Rudd's home on Ridgewood Avenue. They marked out the boundaries of a 1.45 square mile area to secede from Bloomfield. At the February 12, 1895 election, the decision to secede passed by only twenty-three votes. Robert Rudd was elected the first mayor of Glen Ridge. The present Queen Anne-style building was constructed in 1887 thanks to the vision and effort of local developer A.G. Darwin. Mr. Darwin proposed a deal with the Delaware, Lackawanna and Western Railroad: he would fund most of the station's construction if the railroad promised always to stop at Glen Ridge. Built of "rubble" stone from the nearby Orange Mountains, the Ridgewood Avenue Station became one of the first on the Morris and Essex Line. 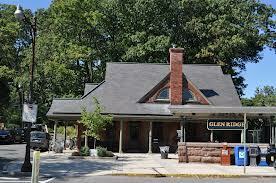 The station is now the second oldest public building in Glen Ridge. In 1930, the building hosted Thomas Alva Edison as he pulled the lever for the first regular electrically-operated train on the line. In the 1970s, New Jersey Transit assumed ownership of the Ridgewood Avenue Train Station. The building is listed on both the National and State Registers of Historic Places. CVC7661B is a superior outdoor security camera with super+ resolution video sensor that delivers clear video both during the day and at night. This security camera is ideal for home surveillance, office, retail or commercial security. CVC7661B can be used for both indoor and outdoor video monitoring.